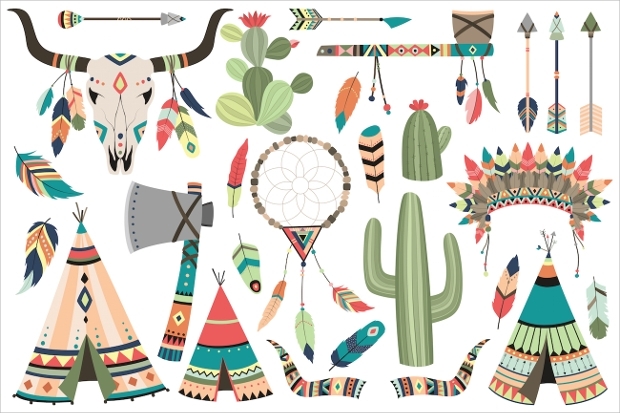 Graphic designers continue to draw immense inspiration from tribal styles. The popularity of these styles is perhaps due to the unique, subtle noble touch that these design elements give artistic pieces of artwork. Designers find Animal Vector or Heart Vector with a sense of tribal in them, to be of great value for creating high-quality artistic works. 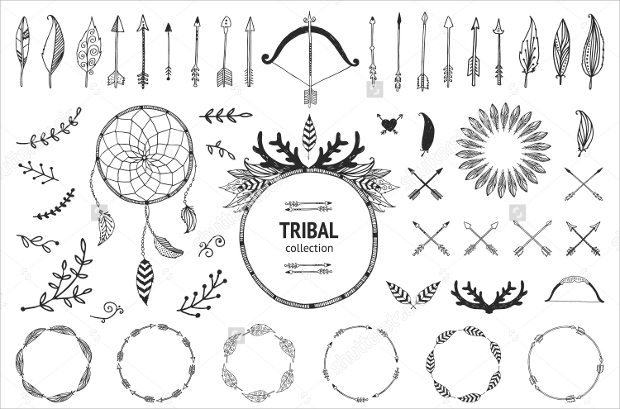 Today, we have the pleasure of sharing with you one grand collection of awesome tribal vectors for use in your designing. The tribal element in this pack featuring vehicle vector is pleasing to the eye. 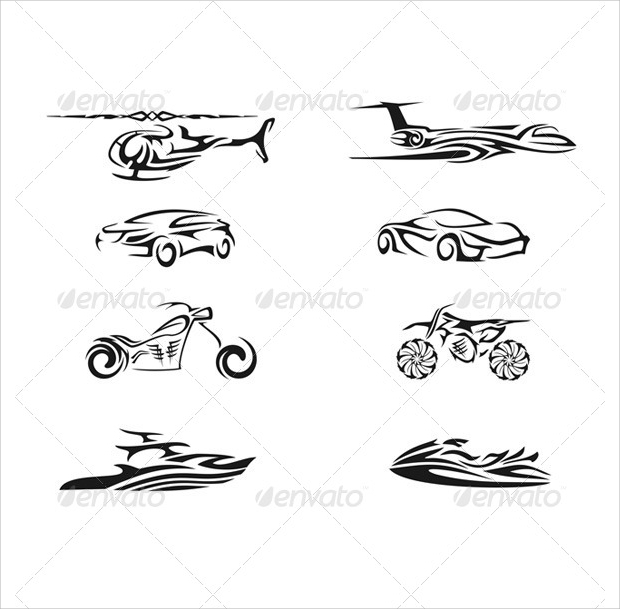 You can use this set of black vehicle outline on virtually any kind of design work related to auto, cars, yacht, plane, helicopter, motor cross, etc. It is available for download as Vector EPS and AI illustrator. 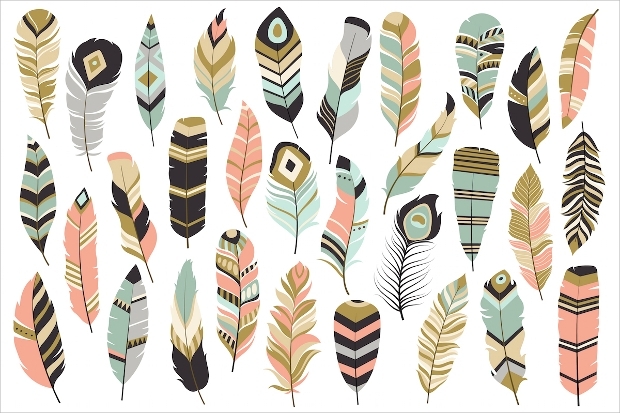 The colorful feathers featured in this vector set looks stunning! The coral, navy, mint and gold especially makes this set beautiful. These wonderful design elements come with a notable resolution of 300 DPI. 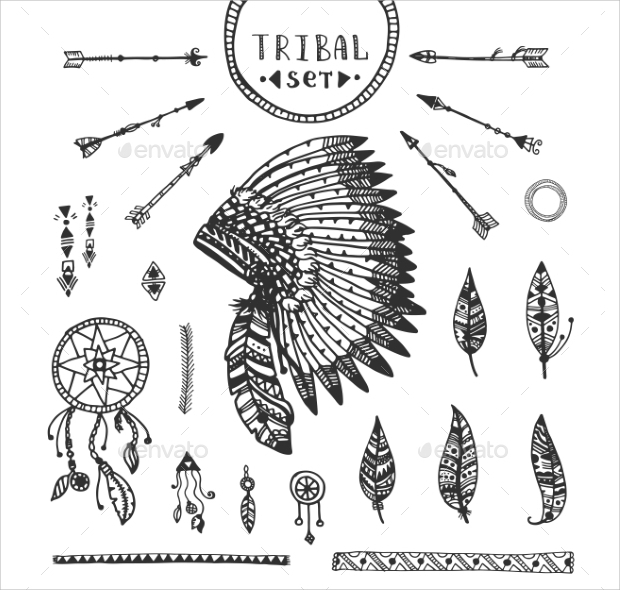 Available in PNG file format, these tribal feathers can be used on a wide range project. 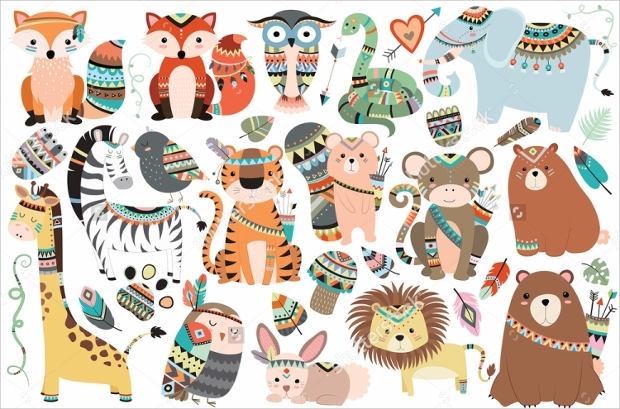 Featuring different lovely tribal animals, this vector can prove to be a very useful set of design elements. You can use these elements to embellish your party invitations, greeting cards, scrapbooking, and more. 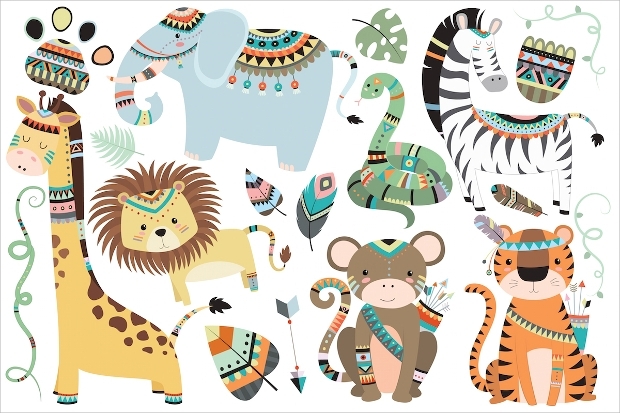 All these gorgeous animal vector elements are contained in downloadable EPS and AI files. 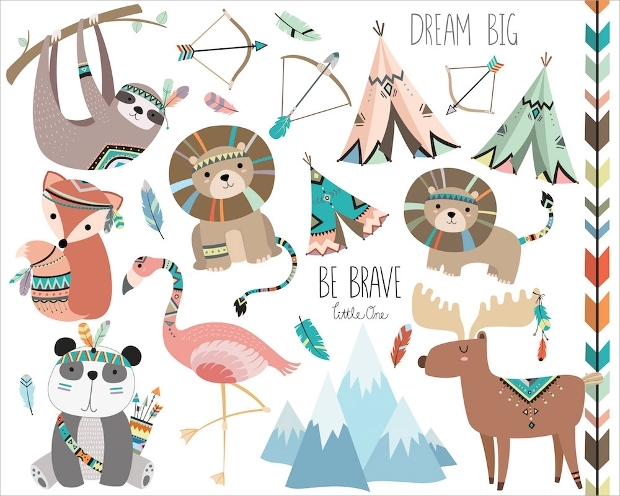 If you would like to give your artistic work a real tribal touch of stylishness, then this could be the right set of tribal animals and woodland to use. The varied colorful elements featured in this set will undoubtedly give the artwork a desirable look. 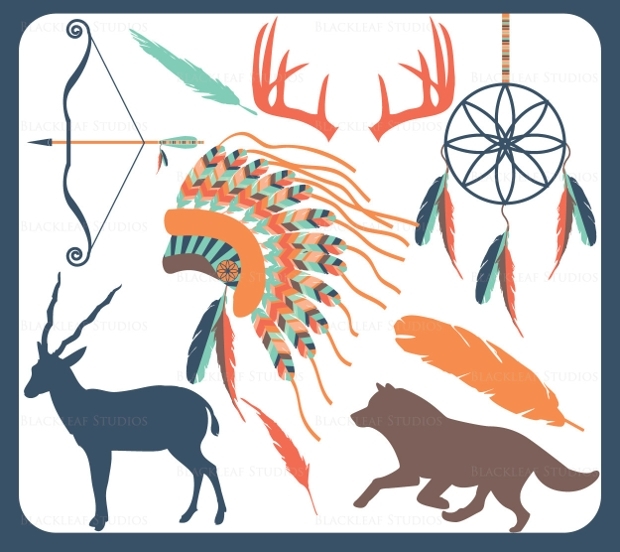 The dream catcher, feathers, and arrows displayed in this pack of tribal vector essentials is really worth consideration. The doodle or hand drawn effect adds a sense of uniqueness and beauty to these design elements. 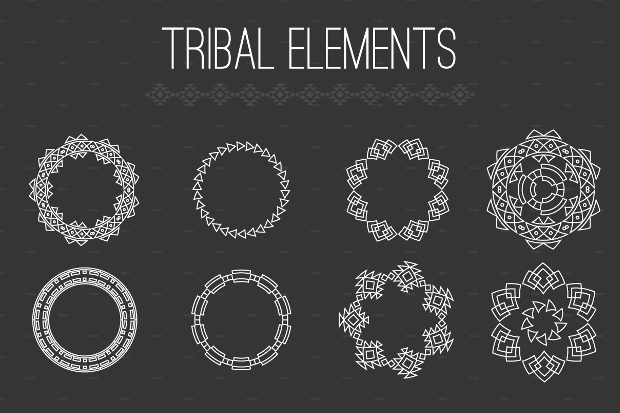 These lovely elements are available for download in an EPS file format. 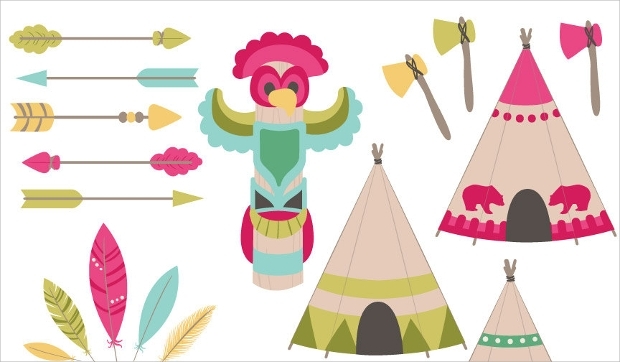 Looking for arrows to give your design project a lovely, vintage or tribal touch? 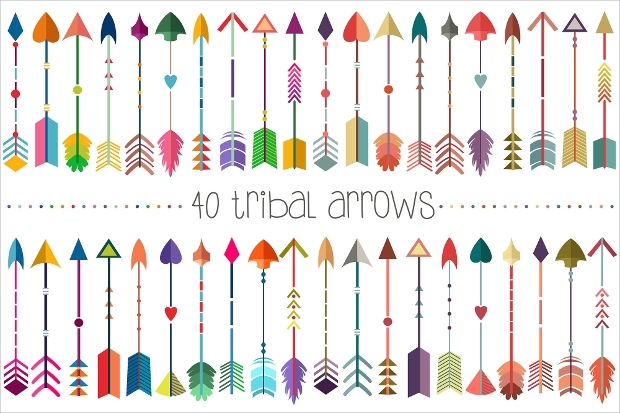 Then, this collection of splendid colorful arrows could be all that you require. The PNG file comes with a stunning 300 DPI resolution quality. You can download the vector pack as an EPS or AI file. This stylish tribal embellishment featuring assorted patterns including what appears like a Rose Flower can be a perfect way of giving your artistic work an abstract tribal touch. 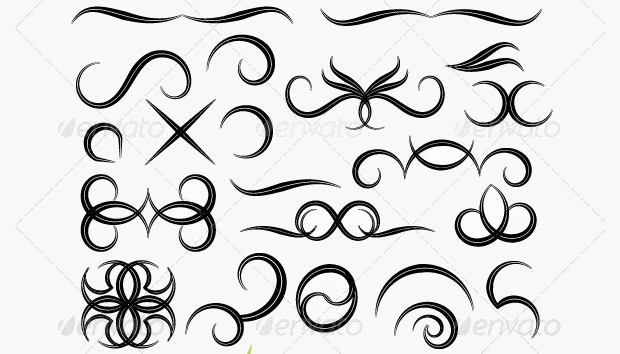 This good-looking ornamental vector design element is available for download in EPS file format. 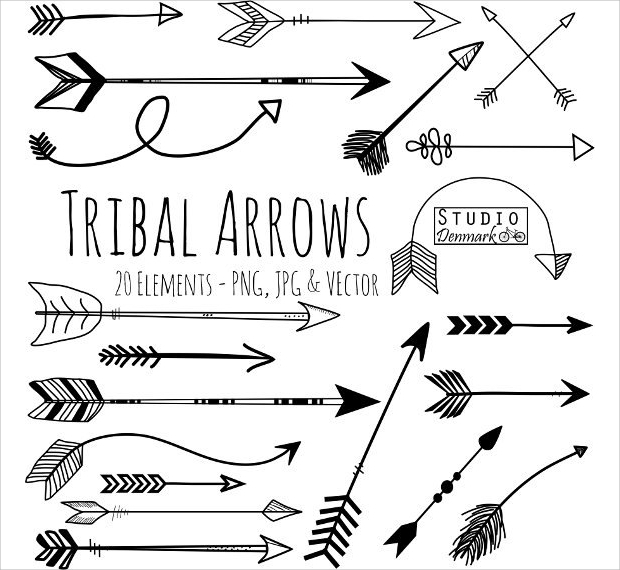 This pack presents you with impressive tribal arrows to use in your design works. While they are black, you can recolor the arrows to match the needs of your design project. The images come with a 300 DPI resolution to enhance quality printing. You can download the set in EPS file format. 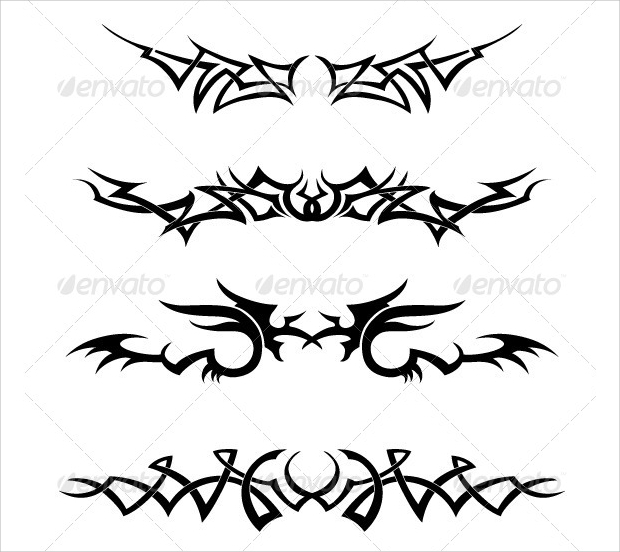 These hand drawn tribal elements come with a sense of uniqueness. 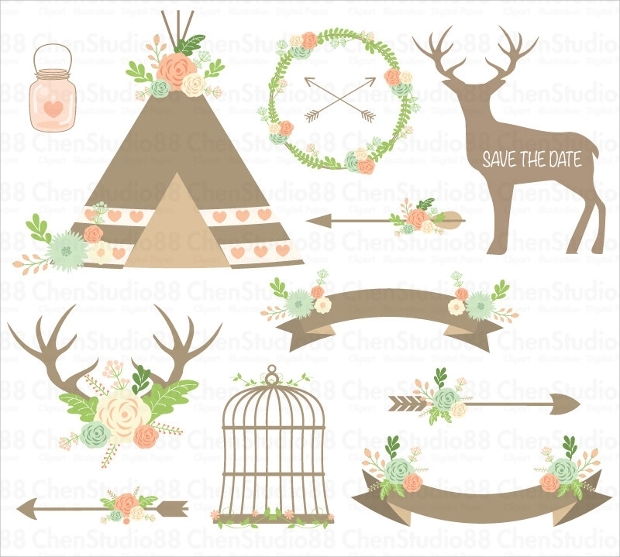 This set featuring a bow, arrows, dream catcher, feathers, horns, floral elements and more, can be quite ideal for giving your logos, party invitations, and just about any design work a nice tribal look. This vector set featuring black and white tribal design elements comes with a nice sense of stylishness. You can use these unique decorations on your posters, stickers, etc. You can get these inimitable design elements as downloadable Vector EPS file format. 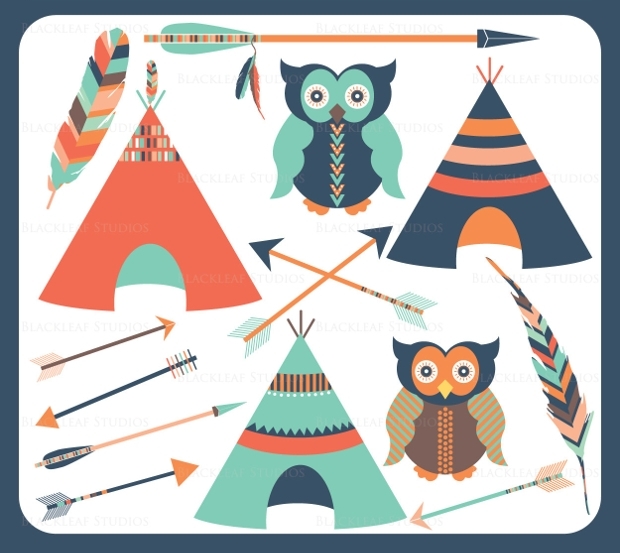 The above collection of the stunning tribal vector could be all that your creative work needs to stand out gorgeously. 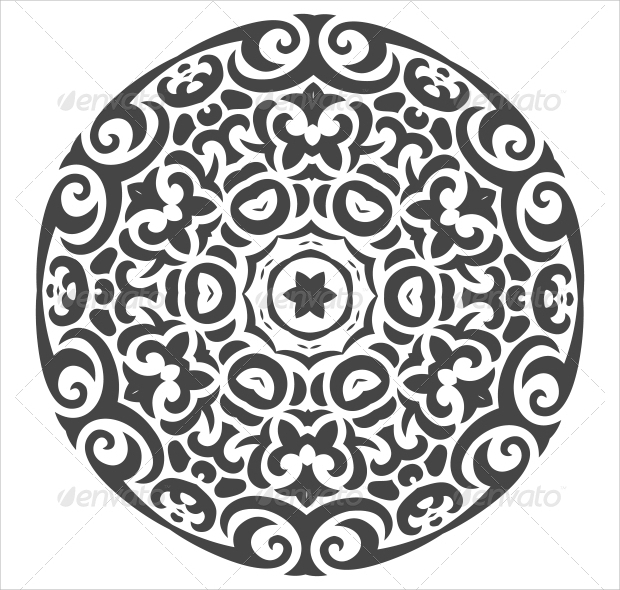 A Flower Vector with a nice tribal touch can especially give your graphic design work a good sense of embellishment. Give your work a stylish look with these beautiful design elements.